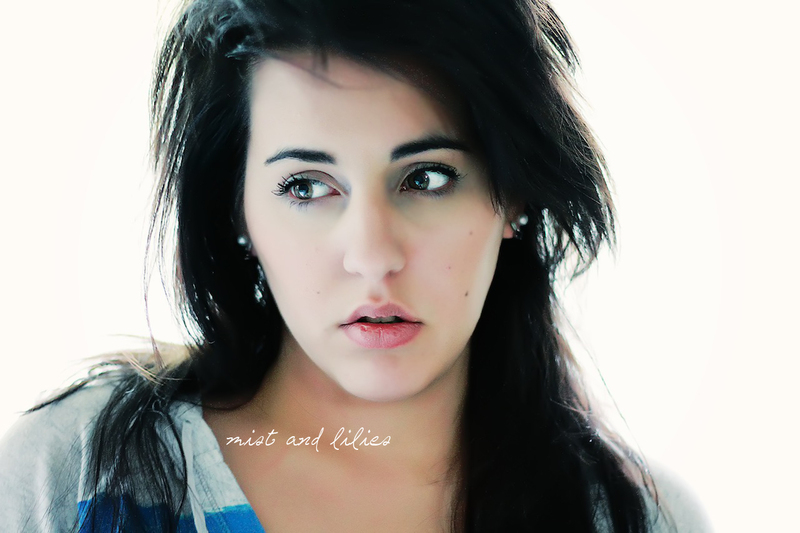 Hi, I’m Shaunna from over at Mist and Lilies. When I was asked to write about passion, the passions one has in life—things they want to accomplish someday, remaining true to them—I was honored that someone actually NOTICED that I have followed my heart and accomplished much because of that. First tip for following your passions and making them happen: Never get bored. There is always something to do. I never let myself get in that mind-dumbing state. I either read or I pick up a new trade. I was bored one time so I learned how to cut hair (Google is awesome). I was bored so I wrote a sucky book. I was bored, so I taught myself how to quilt and gave the horrible first sample to my papa. You’ll be amazed at what you can do if you give it a random try. I love myself. I'm confident, talented, accomplished, correctable, spontaneous, and happily contented. It is NOT A BAD THING to love yourself this much. This problem now a days is that people DON'T love themselves. Oh, they think they are confident, but most are covering up their insecurity. How do you tell the difference between the two? Count your number of friends. Depressed people cannot last long with happy people. Fake people are never friends for very long; eventually their true colors come through. Therefore, the smaller the number the more chance that you ARE real, and love yourself. First comes insecurity. Next comes pride, which is followed by a humbled fall. Next comes healing. Lastly comes the accepting of yourself. When you love yourself, you become less sensitive, you let go of yourself, you give more because you are already full. Another tip? Expect the hard times so that you will not be surprised emotionally, spiritually or physically when they do hit. As young as the age of fourteen, I went down to the rural jungles of Mexico to help in a village with my family. By nineteen I had gone to Thailand after the tsunami to help, to teach, to encourage. I have been traveling the world before I could remember. I have done photoshoots for German senators in Heidelberg, Germany; photographed symphonies in amazing historical buildings, and shot images all over Europe and Asia. I was forced to stay in piano class through my teens. That ended up becoming an outlet to express myself when I felt down. I have written and composed twelve songs. I have seen death, witnessed the sorrows of those poor and in the streets. I have been abused, challenged, betrayed, and belittled; however, I never let that control where I was going or how much I loved myself. I cannot go into my whole life’s story, but I can share what I have learned that has produced my ultimate current happiness and contentment in life. If one were to look at me they would think that I was raised beautifully, with no problems. I would seem untouched by the hardness that many experience from life. I have money, I have a wonderful marriage to an amazing man, I have a beautiful daughter, I have a strong relationship with my family, I do everything that I love doing, on my own time. The final four tips I will give are basic and simple and then I will end my overlong post…. (1) Selflessness. That is the first key to my current bliss. I had to let go from what I wanted. I had to let go of my dreams. I had to live as if each day was my last…..in order to have all my dreams delivered to me. Moreover, I also had to learn to let things go and be humbled by the fact that not every dream you THINK you want is what you SHOULD get. For example, I dreamed of a beautiful wedding, with family there who supported me and loved me. Instead I got dressed by myself in a small bathroom, adorned my own wedding gown, alone because my family did not approve of the man I loved. I walked down a tiny church aisle towards the most perfect man for me, but yet I did not have my dream wedding, BUT I had my dream man. Which dream was more important? Dream wedding or dream man? Life made me have to give up one of those dreams. Most would be bitter, angry and depressed, but which is more important: one day with white whimsicalness or a lifetime with the right man? Both, but rarely will you find someone that has both of those dreams completed. Therefore, like I said, I gave up one of those dreams and moved onward. If you want to accomplish your dreams and achieve the things your heart desires, (2) take it slow and be patient. It took me over ten years of pain and suffering to get my dreams moving. I had to wait that long, but during those years I stayed true to who I am. I did not let those things bring me down. I let go of what I wanted and just focused on each day. Eventually the opportunities came flowing in, but they were hard to recognize! Some seemed not exactly what I had in mind; others looked so small that I thought it might not be worth it. Small things grow—whether physically or mentally—they all grow. I also (3) accepted criticism because it made me wiser. Do not be afraid or angered when someone corrects you. It may be because they want to belittle you so they look better and bigger. If that is the case, you can thank them for making you even smarter and wiser. They will be taken aback by that kind of response. Maybe next time they won’t correct, so that they can remain the smart one. Regardless, I love correction. I take it—whether wrong or right for my unique self—and I use it. I do not turn that correction into drama. (4) I pick my battles wisely. Most things are not worth our time. Many conversations are a waste of precious minutes in your day and life; and that was the next thing I had to instill in my mind—the fact that I (5) always have time. So many people claim to be so busy. I have to shop, clean, take the kids to practice, cook, do laundry, run here, run there, etc. etc. I thought all that too, but sometimes it is just nice to stay busy. It is a comfort because when you get alone with yourself sometimes you get uncomfortable. You don’t know what to do, where to start, how to begin, so you do the mundane and the obvious, and continue on with your “busy” day. That is a sign that you’re losing yourself and forgetting who YOU are. Your identity becomes your family instead of what it should be, you, beautiful you. I DEMAND my time. Demand yours. I take time out of every single day for myself. Whether is pampering myself with the proper skin care and physical fitness, or taking a walk to practice photography at different times of the day—these times are important! They are a way of rejuvenating yourself to keep you going. Those are moments of invisible inspiration that strengthens you without you realizing it. If you want to hear more of my rambles of “inspiration” I learn along the way, PLEASE come stop by over in my part of the world. I would LOVE to meet you!